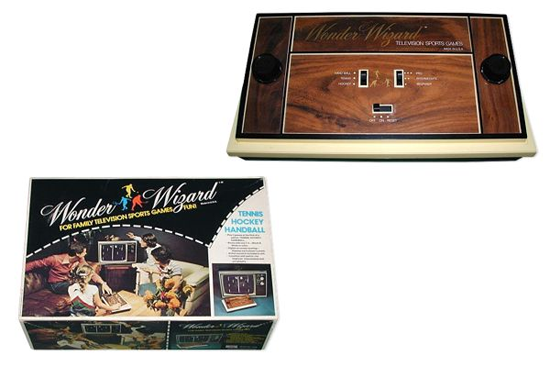 Released in 1976, the Wonder Wizard (model 7702) is a PONG system which was sold by General Home Products. The console is essentially a Magnavox Odyssey 300 in a different casing (woodgrain instead of plastic). The paddle controllers attached to the system are a little bit bigger and better than the ones on the Odyssey 300. However, apart from that, it’s the exact same system. As a matter of fact, it was actually Magnavox which manufactured this system. 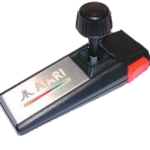 Seems strange nowadays for a gaming company to release an identical system through a different name, but this was around the time when the market was flooded by dozens of PONG systems, with Magnavox and Coleco releasing several different systems with only tiny differences between them.